HomeBanking on Facebook: The social media giant makes its first moves into the credit-card payments business. 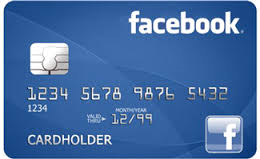 Banking on Facebook: The social media giant makes its first moves into the credit-card payments business. Recently, I blogged about how Google’s efforts to expand its business activities beyond pay-per-click advertising — thereby diversifying its revenue stream — haven’t borne much fruit. In 2011, ~96% of Google’s revenues came from PPC advertising. In 2014, it’s ~97%. But Google isn’t the only behemoth whose income is completely tied to advertising. Over at Facebook, ~93% of the company’s more than ~12 billion in revenues come from advertising as well. Compared to Google, Facebook is a relative newcomer to the advertising game. But once it got in on the action, its growth was very robust. In 2014 alone, Facebook’s advertising revenues were up 58% over the previous year. But … there’s a bit of a problem. In a world where advertising revenues are tied to “eyeballs,“ Facebook’s user growth isn’t on the right trajectory. When the network has nearly 1.5 billion active users already, there’s not a lot of room for expansion. One can easily imagine 2015’s growth figure dipping into the single digits, giving Facebook all the hallmarks of being a mature company in a maturing market. But the always-enterprising folks at Facebook have had something up their sleeve which they’re rolling out to the market now: getting into the multi-billion credit-card payments business. 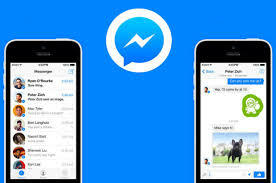 They’re starting small: introducing a “send-friends-money” functionality to Facebook’s Messenger app. But this rather innocuous addition hardly does justice to Facebook’s end-game strategy. When you think about it, Facebook’s aims make a lot of sense. With nearly 1.5 billion active users around the world, Facebook’s accounts make PayPal’s ~162 million active accounts seem pretty paltry by comparison. But revenue from PayPal’s transaction tolls isn’t chump change at all: nearly $8 billion last year alone. Without doubt, Facebook is also looking at the huge amount of business done by American Express and VISA; think of the billions of dollars those companies earn by charging merchants between 2% and 3.5% on the value of each credit-card transaction. Facebook’s entry into the business can be facilitated neatly through its Messenger mobile app, making it just as easy (or easier) to pay for goods and services as with a credit card. Considering that Facebook’s users with mobile phones are already spending time on the network an average of an hour per day, it’s pretty easy to see how people could make the transition from traditional credit and debit card payments to using their Facebook app for precisely the same purposes. And Facebook could sweeten the pot by working with retailers and marketers to offer real cash loads that would likely juice participation even more – sort of a cash rebate in advance of the purchase rather than afterward. So we shouldn’t think of Facebook’s new “send-friends-money” feature as a one-off function. Instead, it’s just the tip of the iceberg. If I were a manager at VISA or AmEx, I’d be thinking long and hard about the real motivations – and real implications – of Facebook’s latest moves. Quite usually, those those who take out payday cash loans have terrible subsidy histories, which means risk can be high, the lender is not going to get the cash back, or at least not on time. seeking to feature an alternative. are folks of the British Isles.